It’s definitely time to finalize your hotel room needs for Diocesan Council, February 22-24, in San Marcos. Call (512) 392-6450, select option #2 for reservations, then select “existing reservations” option #2 again, follow any additional prompts and wait for the specialist to answer. You will need the confirmation number and current reservation name (most likely the name of your church). 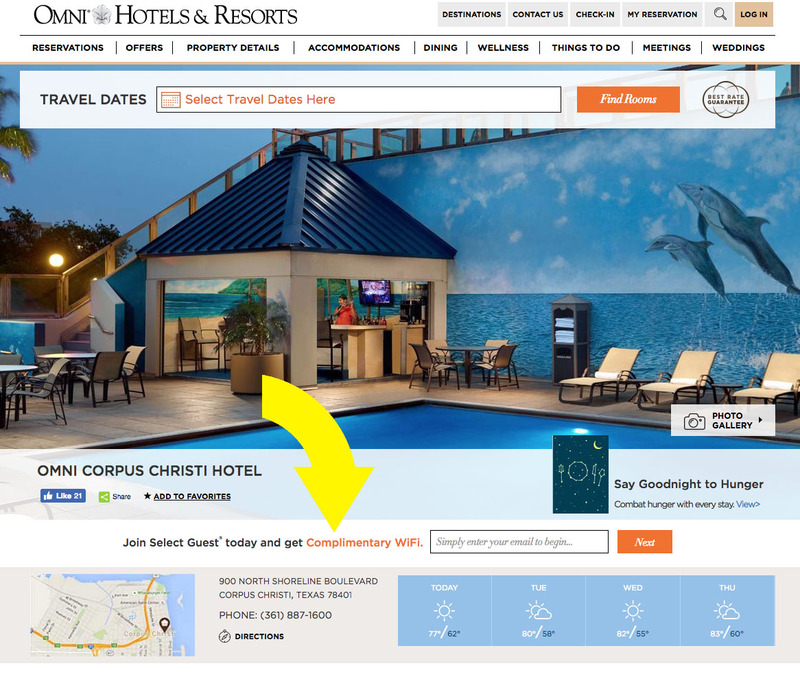 If you have made your reservation to stay at the Omni Bayfront in Corpus Christi during Diocesan Council this week, you need to become a “Select Guest” to receive complimentary WiFi service during your stay. To become a Select Guest, simply visit the hotel’s website, https://www.omnihotels.com/hotels/corpus-christi. If using your personal computer, the sign-up link is located in the middle of the home screen. You will see “Join Select Guest today and get Complimentary WiFi.” Enter your email address and follow the prompts to register. Be sure to choose a password you will remember come Thursday! If using your mobile device, choose “Select Guest” from the drop-down menu located in the top left corner of the screen. You can add your upcoming registration if you have your room confirmation number handy. If not, just plan to log in to the WiFi service with your email address and password upon your arrival. Hotel Rooms – Get them before they’re gone! Serving as headquarters hotel for the Clergy Spouse Breakfast and the Friday Bishop’s Luncheon, the Omni Corpus Christi Hotel currently has 40 rooms available from our original 400 room block. If your church has not made reservations please do so now by following the instructions on the Hotel Page. Anticipating the need for additional rooms, the diocese is contracting with the Holiday Inn Corpus Christi Downtown Marina hotel (one block from the Omni) for a room rate of $119++ and free parking. Visit the Hotel Page and scroll below the Omni information for full details on the Holiday Inn Downtown Marina. If you have trouble using the national toll-free reservation numbers call each hotel directly. Hotel – “Episcopal Diocesan Council Meeting” has a block of 400 rooms for the Thursday and Friday nights of Council at the Omni Corpus Christi Hotel. Please accurately anticipate your needs and make your reservations as early as possible. Details for online or phone reservations are here. Nominations – The 2017 Nominations Instruction Packet PDF format has been sent by e-mail to churchofficelist on August 23, 2016 and is available here. Nominations will be accepted through Nov. 1, 2016. Bishop Suffragan Election – Information and timeline for the Bishop Suffragan Election to be held on the Saturday of Council is available here. Discernment Forums (PreCouncil) – The Discernment Process for a new Bishop Suffragan includes three Forums that will replace the seven annual convocational Pre-council meetings for 2017. Dates, times and locations here. Please add this important event to your church calendar. Believe it or not Council 2016 is right around the corner, and the host committee from St. Alban’s, Harlingen has started their plans. Council will take place at the McAllen Convention Center beginning on Thursday, Feb 18 and concluding at noon on Saturday, Feb 20. Nomination Information Packets will be mailed soon, but you can review qualifications and current elected members now. So mark your calendars, reserve your hotel rooms, and begin to think who might help lead our diocese in 2016. For a look back at Council 2015, spend a few minutes at www.council-dwtx.org with the videos, audios, and pictures from last February.